Pelican Mug Oversize is bird lover mugs morning fun at Animal World®. Featuring wraparound color artwork this Pelican Mug printed in the USA, is 14 ounce, UV, dishwasher and microwave safe. 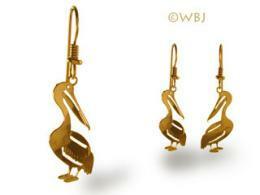 Shop our Pelican Gifts at Animal World® for all our Pelican bird lover gift ideas.